Our elementary classes are for children between first grade and sixth grade in elementary school. The teacher to student ratio is 1 teacher to every 10 students. A sample schedule of their daily routine is below. For details on what each of these classes contain please see our Curriculum tab at the top of the page. Elementary students have the option of enrolling in a half day course as well for either the AM or PM courses only. The half day course would consist of three subjects from the elementary curriculum, but the content offered in those courses will vary depending on the overall schedule of the class they are placed in. We also offer classes for advanced students. 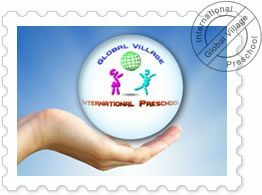 These classes are generally reserved for graduates of our preschool program, however there is a test available to children who have spent extensive time aboard or who have graduated from a comparable International Preschool. For more information please contact us using the form found here.